Today the low cost, credit card sized computer Raspberry Pi was launched with the prime purpose of encouraging young adults and children to learn computer programming. This has been an area sadly lacking in UK schools since the demise of the BBC Micro Computer in 1994. The initial cost of the computer is just £22 ($35) and runs on open-source operating system Linux. At the moment it’s just a board (below) weighing about 45g that can be plugged into a TV and a keyboard. But it potentially marks a turning point when children and young adults are given something more exciting and challenging than building PowerPoint presentations in their ICT class. This is a generation adept at playing sophisticated online computer games. How uninspiring it must be to “power down” their brains and work on a spreadsheet or a powerpoint in the classroom. But it’s more than this, it is about understanding the workings of technology both technically and critically, often referred to as digital literacy. Recently I had a discussion with a friend about the need to put digital literacy education on a par with other forms of literacy like the reading, writing and maths. He disagreed and, using the car analogy, said that you don’t need to know the technical workings of a car to drive it – that’s what mechanics are for. At first this seemed to me like an inapplicable comparison. Nevertheless, after refection, I could see that, in a way, it proves my point on two different levels. It’s an interesting analogy because one can drive a car without knowing it’s workings (other than knowing when to fill it with fuel!). Most people do. But knowledge obviously helps if the car develops a fault. However, to point out the other side of this analogy, you would not think it wise to drive a car without becoming proficient at driving it as this could be physically dangerous to you and other people. A similar comparison can be made for the digital world. Of course the danger of using the internet may not be physical but knowing what happens if you open an email with a virus or even what to do if you are a victim of “trolling” may be of some benefit to your mental health. This knowledge could be on an even more banal level like knowing what happens to your data when you type a query into Google. As with the car analogy there could be said to be two levels of digital literacy in this case. Firstly, educating young people in the necessary skills to develop critical judgements and understanding of how the digital world functions seems sensible (the learning to drive bit) so that they can use the Internet confidently and analytically. And secondly, access at an early age to learning the basics of programming is an advantage because then they will have an understanding of the technical structure of the Internet (the technical workings bit) and be able to make, adapt and customise things for themselves. This adds a creative element too. This is one of the many reasons why the release of Raspberry Pi is so crucial to the latter. Learning basic programming at an early age will make it seem a natural, basic and potentially enjoyable activity. Last year, at his MacTaggart lecture, Google Chairman Eric Schmidt criticised the UK education system by saying that he was “flabbergasted to learn that computer science is not taught as standard in UK schools” He went on to say this also ignored the legacy given to us by pioneering UK computer scientists like Alan Turing. Here’s a link to a post I wrote at the time. In my experience computer/video games courses, at the few schools and colleges that run them, are the courses that fill up straight away because the students are passionate about gaming. It would seem a perfect time to start the process of educating our childen and young adults in the art of programming not just for their own benefit and education but to stop us lagging behind other more technologically ambitious and savvy nations that have had computer science programming on there curriculum for many years. 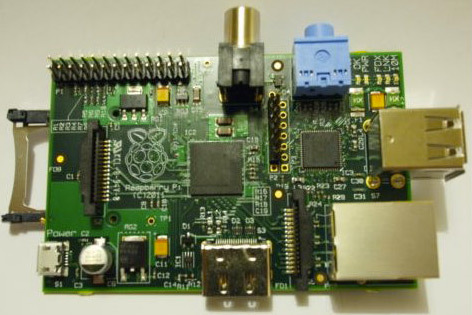 Raspberry Pi is the perfect starting point. Below Robert Mullins, co-founder of Raspberry Pi Foundation, is interviewed by Harriet Green about how and why Raspberry Pi was created.